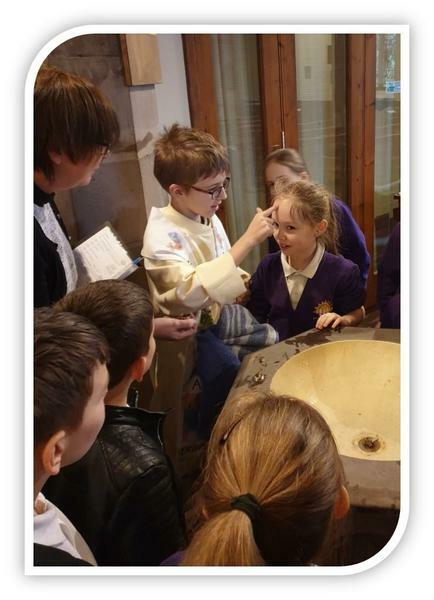 This term Year 3&4 have been learning about baptism. In class we learnt all about the symbolism of water and how Jesus was baptised by his cousin John. We then visited Christ Church and Reverend Mandy taught us all about baptism. We all took part in a role play and baptised one of our class members! Alessio, William and others enjoyed being the vicar and we had some super Godparents too! We explored the church, looked in the church register for our own baptisms and learnt about Holy Communion too. What a busy afternoon! Thankyou to everyone who has helped with these visits. Once again, we have been so lucky to secure weekly support from Mrs Ruth Evans who is our area NISCU worker. Mrs Evans is in school most Tuesday mornings and visits a number of classes helping wherever she can. From classroom support, to helping with displays to singalongs and assemblies we are truly graced be her presence. 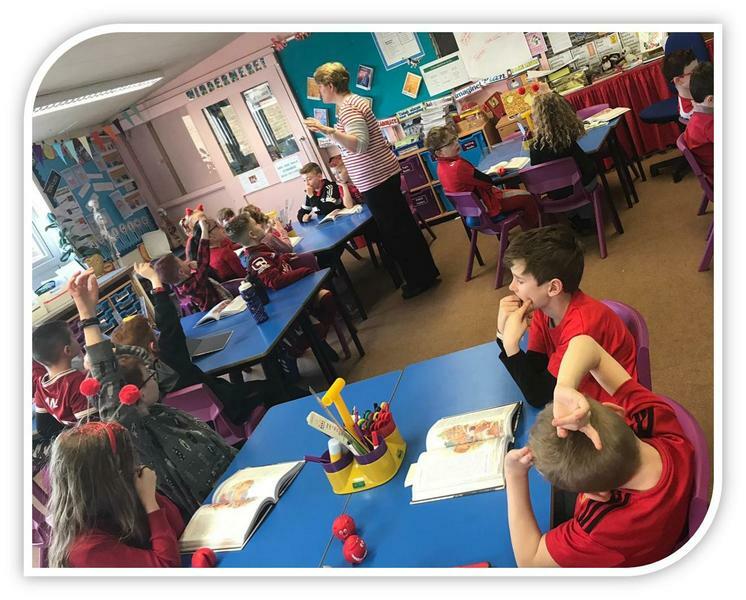 Mrs Evans has also been teaching in Y3 and 4 with class teachers helping to deliver the new planning scheme on Christianity. Thank you Mrs Evans, your support is greatly appreciated by us all.